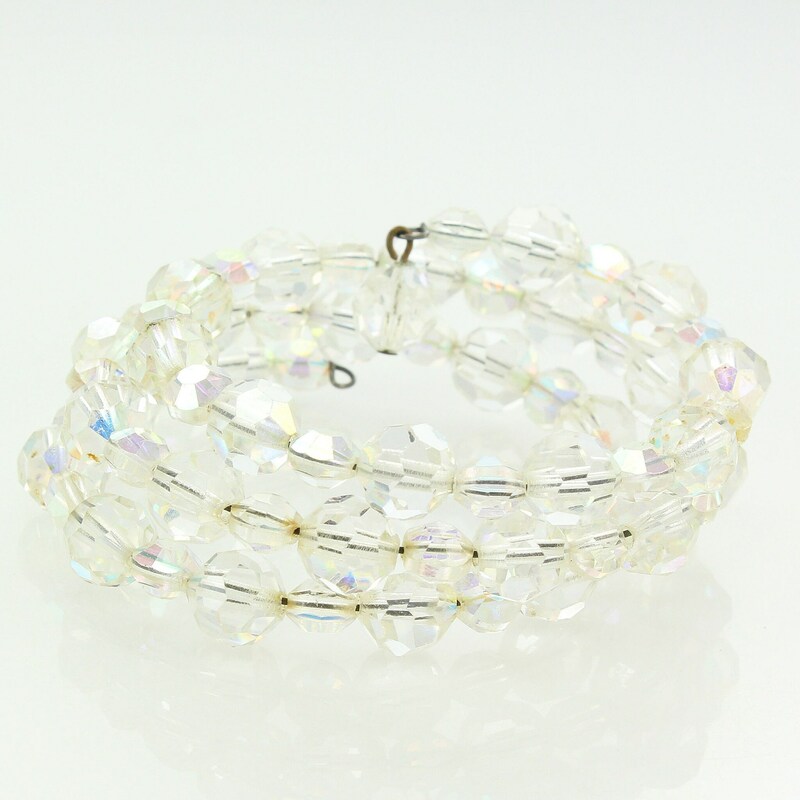 Vintage Aurora Borealis Crystal Coil Bracelet. 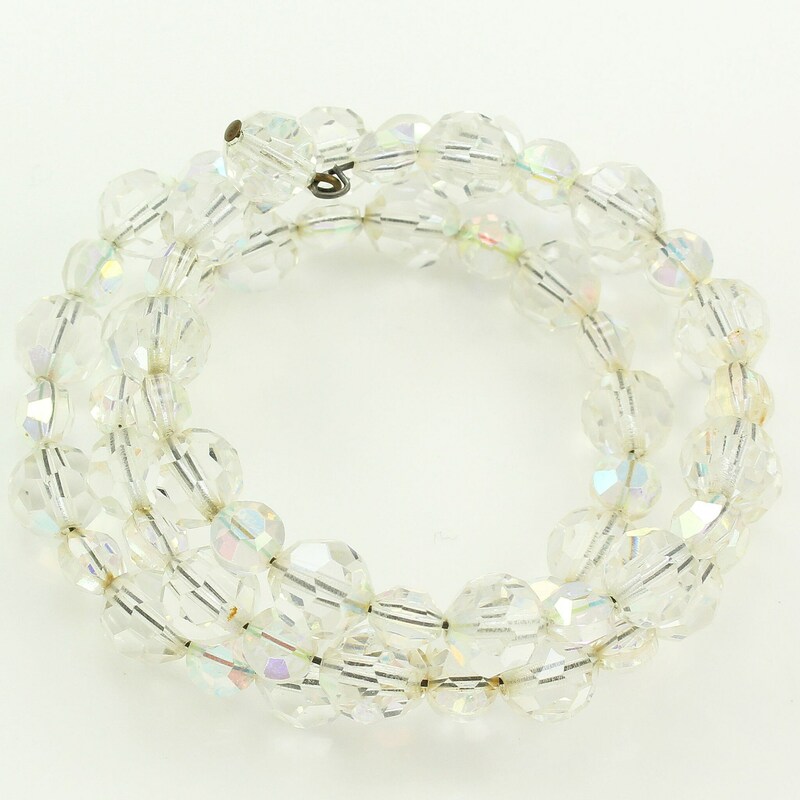 This 1960s bracelet features both round faceted and lentil shaped crystals with aurora borealis coating. on memory wire. The beads measure 4.4 x 6 mm and 8.3 mm in diameter. CONDITION: In good vintage condition, with one drop missing from the end of the bracelet and minor discoloration to a few beads. MEASUREMENTS: Bracelet will adjust to fit most wrists.